Rare Victorian Lady's Patent Boot Drying & Warming Last. 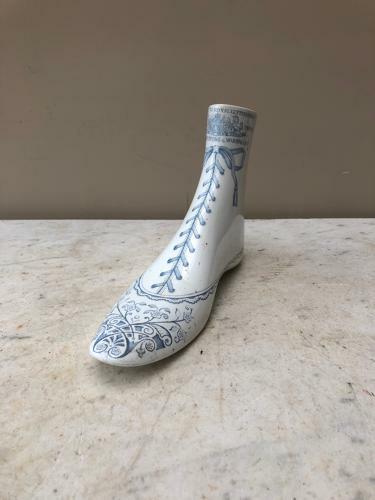 Very Rare....I have never seen another....Victorian Lady's "PATENT BOOT DRYING & WARMING LAST"
Very ornate with floral pattern and laces to look just like a boot. Royal Crest at the top. This would have been filled with hot water and placed inside a lady's boot to warm it or dry it. No chips but one hairline to the right hand side.